She is from the Azores, an island chain in the middle of the Atlantic Ocean, a territory of Portugal. As was very common in the Azores, she married an American Air Force guy (my dad) and moved to the States at age 19. Her nine brothers and sisters, her mother and father, cousins, and aunts and uncles also made the trip to the States and settled around the country. As kids we didn’t get to see our Portuguese family very often , but when we did, we LOVED it. We were surrounded by our cousins, who were colorful and loud and spoke both Portuguese and English. Our Grandma, who spoke almost no English, would sit us down and force us to eat—so much delicious food. Portuguese rolls, sweet bread, malasadas (fried dough), bacalao (dried, salted cod with beans), amazing cheese and lingucia (sausage)…….. One of my best memories is walking to the Portuguese bakery (near my grandmas house) in Cambridge, MA—to pick up hot malasadas for the rest of the family. Years later, I moved to Hawaii where you can find malasadas everyday, Portuguese sausage at McDonalds, and Portuguese bean soup is in constant rotation. But while you can find Hawaiian sweet bread, you don’t see Portuguese sweet bread. It turns out that they are basically the same thing. It happened like this: When Hawaii was a big plantation, workers came from all over the world, Philipines, Portugal, China, Korea, Japan—to work on the plantations. The Portuguese were made the plantation bosses, likely because of their fair skin—but lived and worked among all of the other plantation workers. Over time, the workers began to get ideas from their friends and soon everyone knew a little bit about everyone’s culture/food and language. Korean women were making malasadas and adobo while Chinese women were making Kim Chee and miso soup….and this whole melting of cultures, language and food –became what we now know as Hawaii. 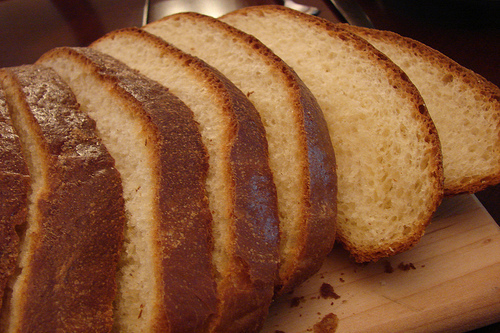 And the sweet bread became more commonly known as Hawaiian Sweet bread. (It is VERY common in Hawaii to have a combination of various ethnic cuisines at every meal. And it is one of the things that I miss most about the place.) This recipe was going to work perfectly with the other stuff I had planned—Kalbi BBQ ribs (Korean), Cucumber Salad (Japanese), Fennel Pistachio Salad (? ), Haupia (Hawaiian Coconut Pudding), and Sweet bread (Portuguese) but…. I have to say I was more than a little bit intimidated by this endeavor. My mom did not cook Portuguese food at home when we were kids. She would occasionally attempt malasadas, but that was about it. Homemade Portuguese Sweet Bread was something I had never even thought of. Really? Make Sweet Bread? Me? I still had my reservations after reading the original recipe from my Aunt Eva—5 pounds of flour (yes, pounds not cups), 18 eggs, three different rising cycles! It sounded crazy…..but I gave it a go. And it was crazy—crazy good! I cut the original recipe in half and I didn’t have time to complete the 2nd rising. The bread turned out a little more dense that the Kings Hawaiian Sweet Bread and instead of making one big loaf—I made a bunch of small ones. One more thing, I am sorry to say…I didn’t take any pictures. I know I will be making this again, and likely very soon and with some minor tweakings–but here is my aunt’s special recipe—after being modified by yours truly. Enjoy and if you have any suggestions–I’d love to hear them. A light sweet bread made first by the Portuguese but made famous by Hawaii. This recipe comes from my Aunt Eva, who has been the keeper of the Portuguese recipes since they moved to the United States. Mix yeast with 1/2 cup of warm water and 1 tsp sugar. Let sit until it gets nice and yeasty. Mix butter, eggs, milk and yeast in a large mixing bowl. Slowly add the flour. 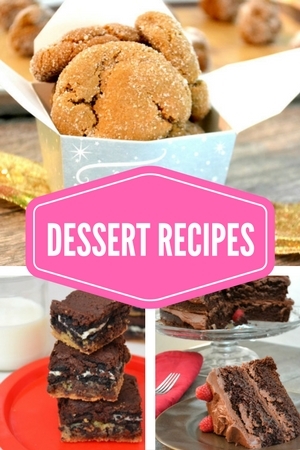 Since this recipe is so large–you will need a big mixer. My regular old Kitchen Aid did the trick–but it struggled a little bit. Mix until you get a bread dough consistency—and nothing is sticking to the walls. Set the mass of dough aside, covered with a clean towel for 2 hours. It is supposed to rise a lot. After two hours, take the dough and hand form into two or three large loaves. I made about 6-8 grapefruit-sized breads and froze the rest of the dough. Bake at 350 for 10-15 minutes or until they look nicely done. « Dear Friends: A piece of cake for you! We were fortunate we were able to buy genuine Portugese sweet bread from a Portugese lady. every Saturday during the 1930s in Hilo, Hawaii until we moved to Honolulu during World War II. It is still the greatest. We sometimes are able to buy some when the Portugese Society hold reunions in Honolulu. Kings bakery version, by Taira, is typical commercial junk.